The Christians across the globe will observe Good Friday on April 19, 2019. A day, the Catholics commemorates Jesus Christ’s crucifixion and his death at Calvary. On this day, one would see special prayers been conducted in the churches. There are many who spend this day in fasting and prayers. In many countries, the church services take place in the afternoon, followed by the procession of the cross i.e. the Stations of the Cross. 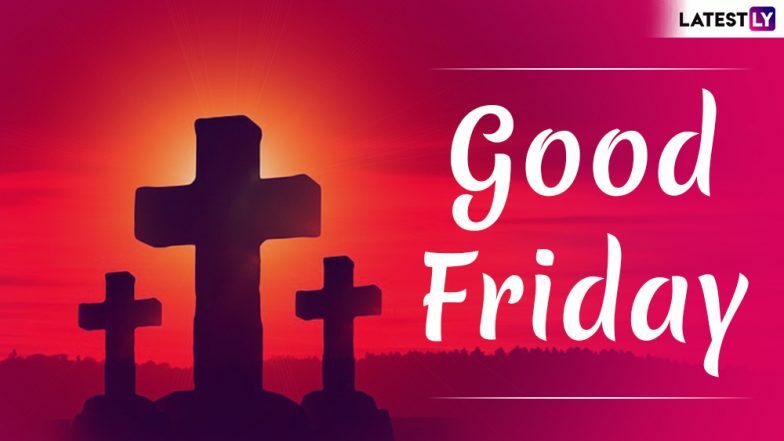 Good Friday is one of the most important day in the Christian calendar, however the confusion amongst the non-Christians still continues upon why is it called ‘Good’ Friday. And the non-Christian members end up greeting or wishing a Catholic person. Why Is It Called Good Friday? What is Great Friday? All Your FAQs Answered On Why Christians Observe Good Friday. The word ‘Good’ Friday is said to be originated from the term ‘God’s’ Friday. It is said ‘Good’ not because it is a day of happiness, but what Jesus Christ did by sacrificing his life on the cross and paid the price for sins done by humankind. The proverb from the Bible to be remembered, “John 3:6 - For God so loved the world that He gave His one and only Son, that everyone who believes in Him shall not perish but have eternal life.” Good Friday 2019 Date: Significance And History of The Day Observed by Christians During Holy Week. Unknowingly, many end up wishing the Christians on Good Friday just like they greet them on Christmas or Easter. But Good Friday isn’t a day of celebration and hence one must not exchange any greetings or good wishes on this Holy Day. Good Friday is also known as Great Friday or Black Friday or Sorrowful Friday or even as Long Friday.